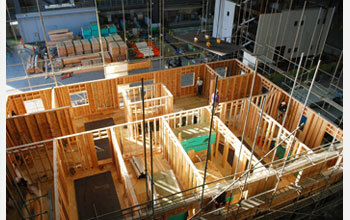 Construction of the NEESWood Capstone project condominium test building. Download the high-resolution JPG version of the image (35 KB). 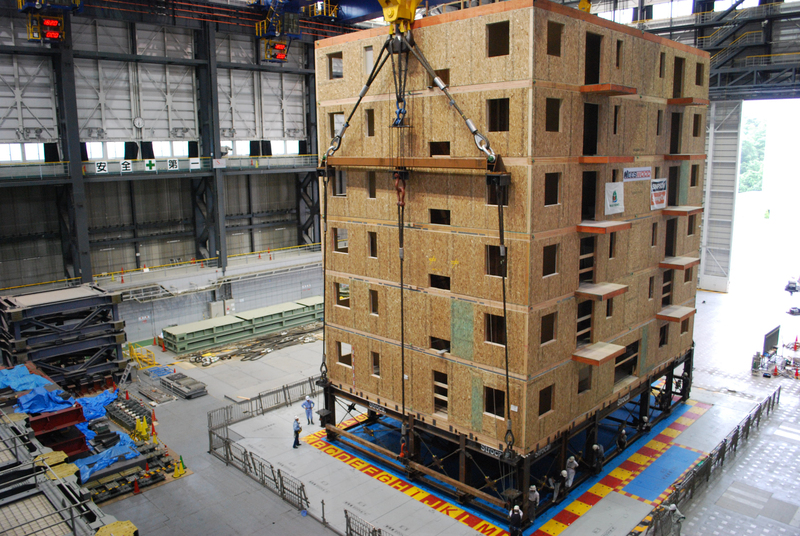 Time-lapse video showing construction of a seven-story condominium building, the NEESWood Capstone test structure, at the E-Defense facility in Japan. 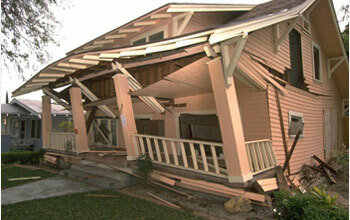 This home was damaged in the Northridge, Calif., earthquake on Jan. 17, 1994. 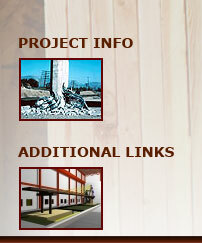 Approximately 114,000 residential and commercial structures were damaged and 72 deaths were attributed to the earthquake. Damage costs were estimated at $25 billion. Download the high-resolution JPG version of the image (168 KB). 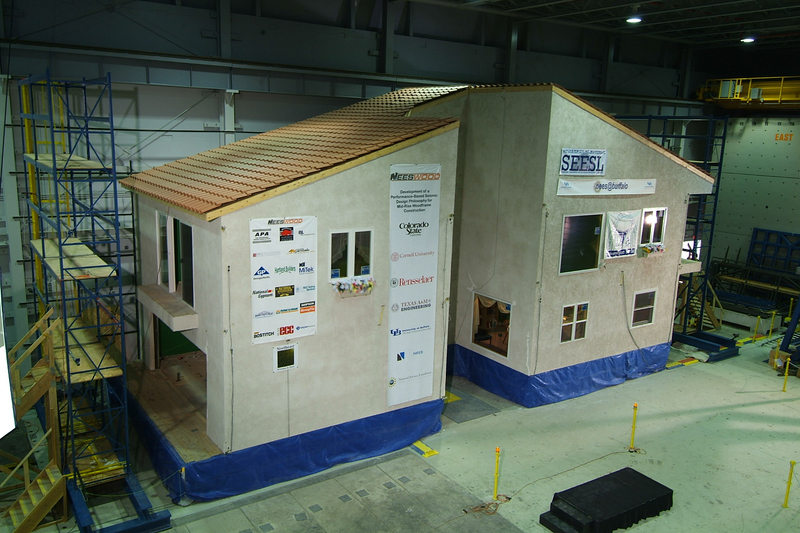 The benchmark NEESWood structure, a two-story, single-family home, was shaken on an indoor "shake table" at the State University of New York at Buffalo. 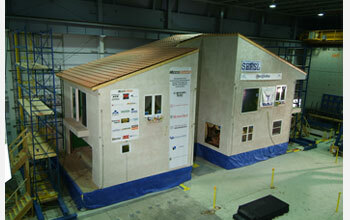 The shake table is part of NSF's Network for Earthquake Engineering Simulation (NEES). 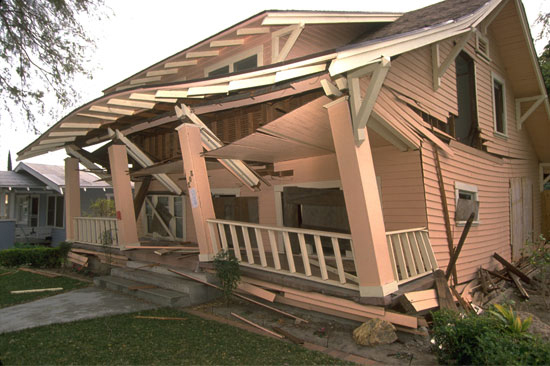 The test revealed that wood-frame structures, constructed under current building standards, may provide safety in an earthquake similar to the 1994 Northridge earthquake in California, but the structures are likely to be damaged so severely that they will require expensive repairs. Download the high-resolution JPG version of the image (410 KB). 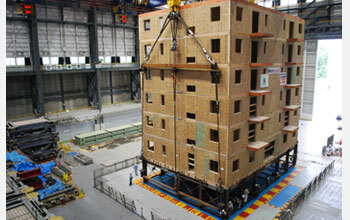 On June 22, 2009, the team at E-Defense in Japan moved the seven-story test structure onto the shake table. 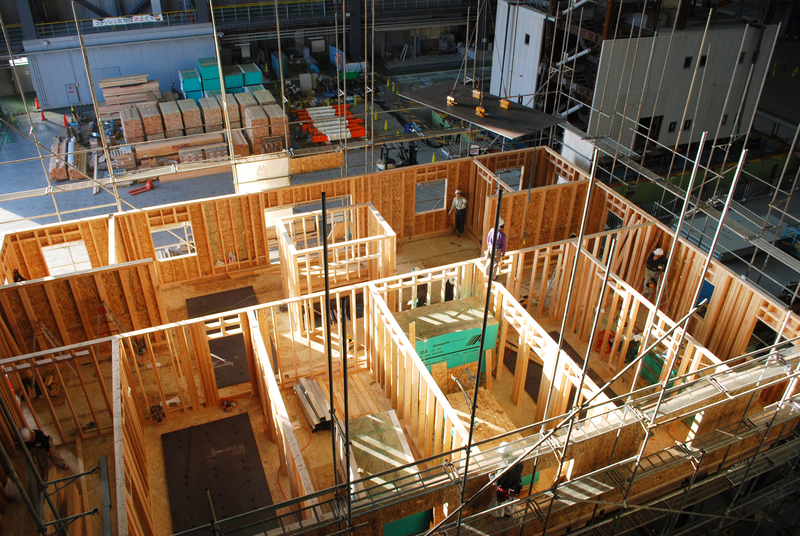 The structure includes one story of steel, which will be "fixed" for the 2,500-year test, and six stories of wood. Download the high-resolution JPG version of the image (4 MB).